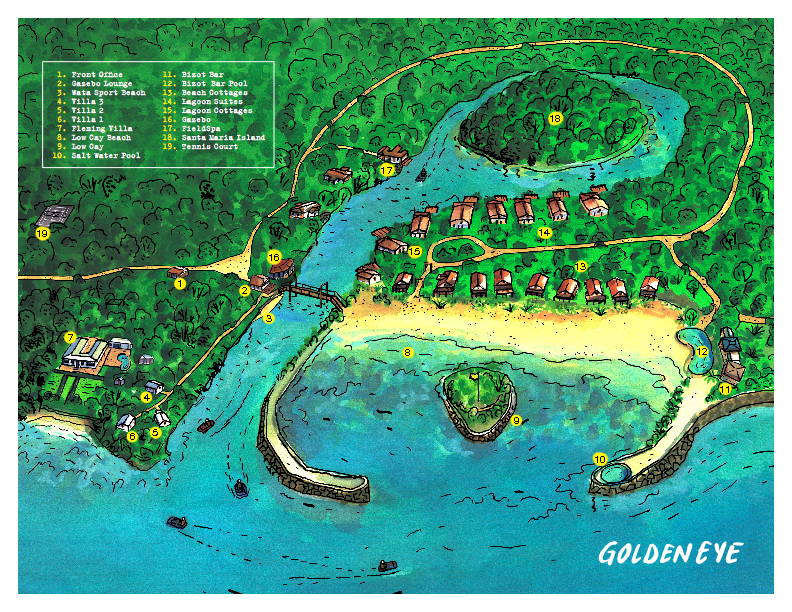 Each of GoldenEye's stand-alone villas is its own private world, set in a verdant garden of native greenery and sitting directly on the beach or lagoon. 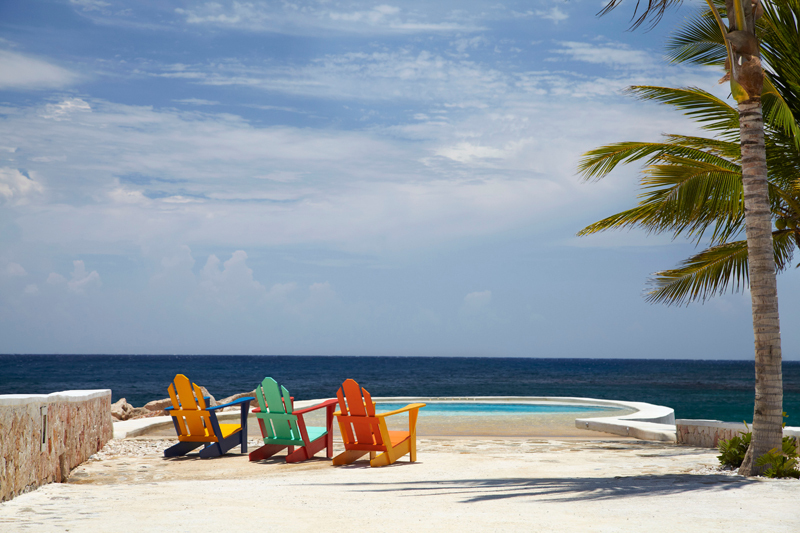 Please Note: Between May 6th and December 19th, 2019, GoldenEye will be undergoing construction to certain areas on property to enhance the overall experience. Special reduced room rates, complimentary activities, and creative dining experiences are being offered during this period. Construction will be done section by section and only in the daytime to minimize guest exposure. Please acknowledge that by booking a stay with us at the reduced rate during this time, you understand some areas of the property will be under construction and inaccessible. Thank you for understanding and supporting GoldenEye during our ongoing improvements. 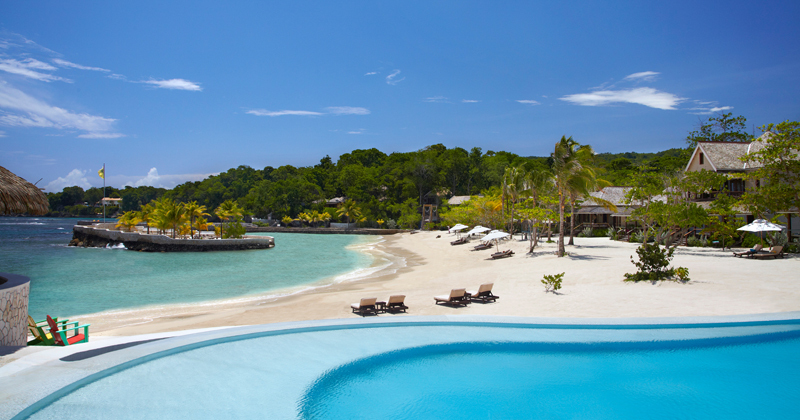 Nine remarkable villas form a village on Low Cay Beach. 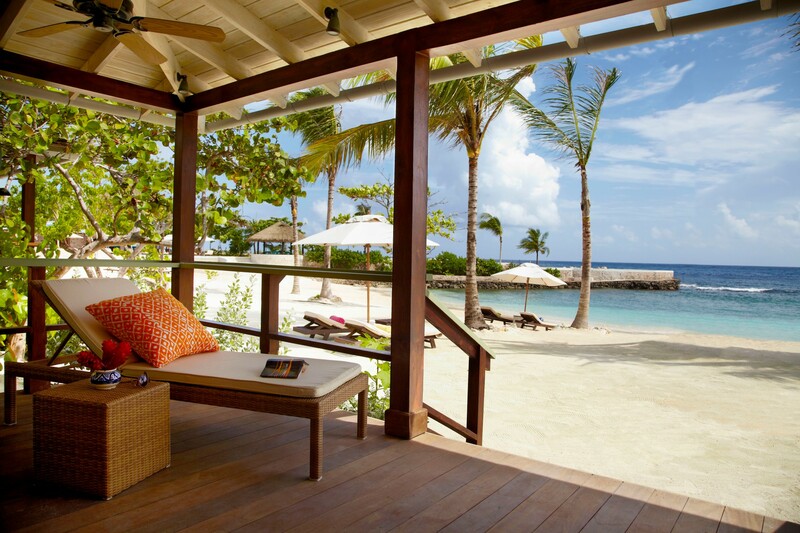 Step barefoot from your porch onto the sand. 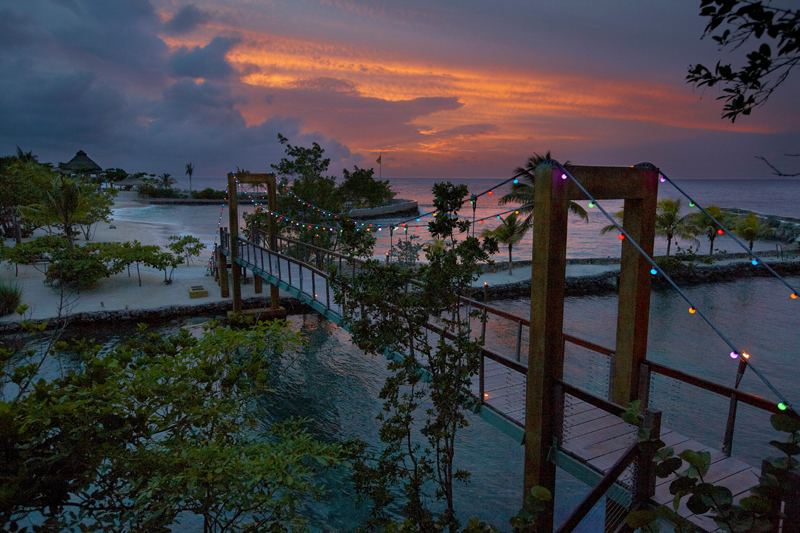 Low Cay Beach is a 500-ft sandy crescent sheltered by a coral reef and is exclusively for GoldenEye guests. 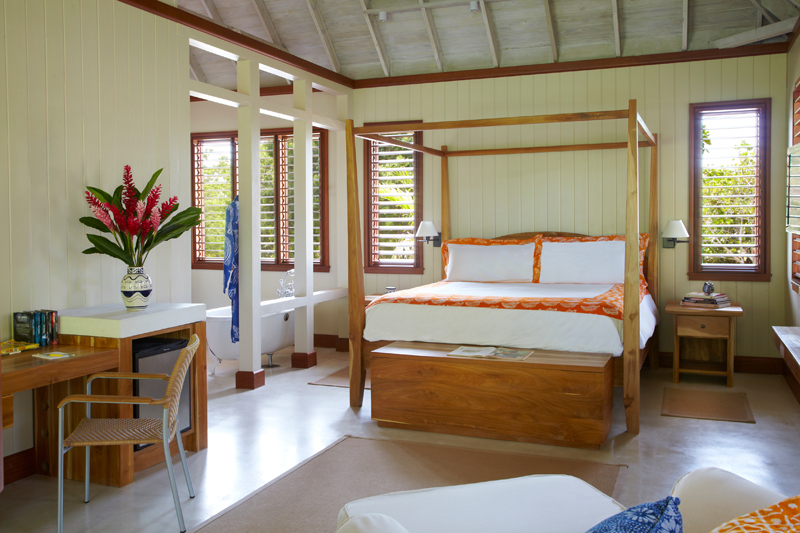 The original designs by architect Ann Hodges reintroduce the classic Caribbean cottage, completed with contemporary comforts. 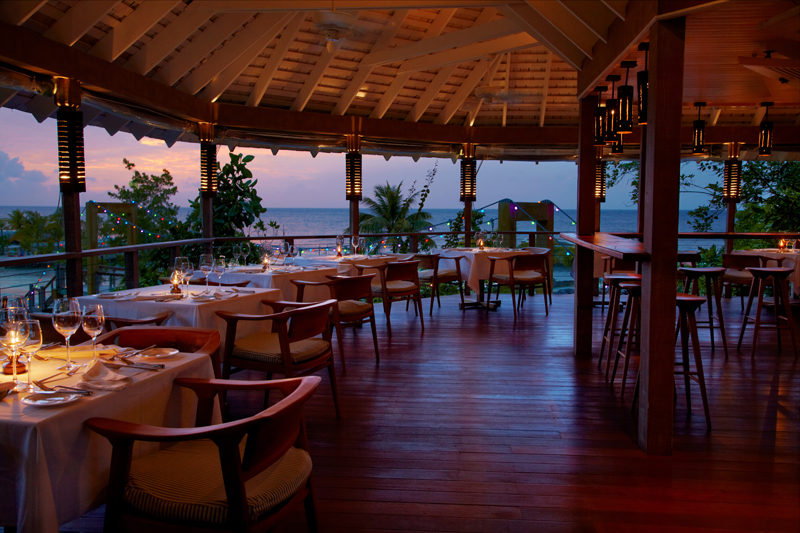 Wood-clad exteriors, jalousie shutters and exotic outdoor showers evoke romantic memories of a past era. Two Pools are on Low Cay Beach. 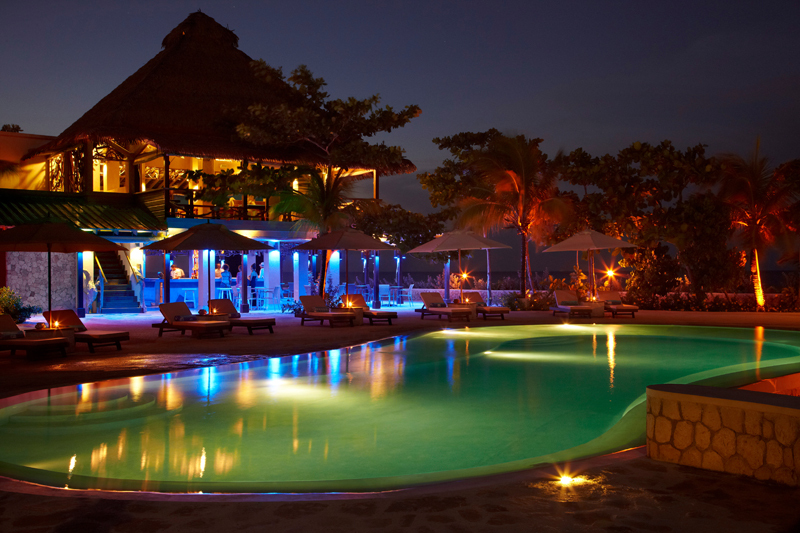 The main fresh water pool is located near the Bizot Bar. The second salt water pool is at the tip of the peninsula. 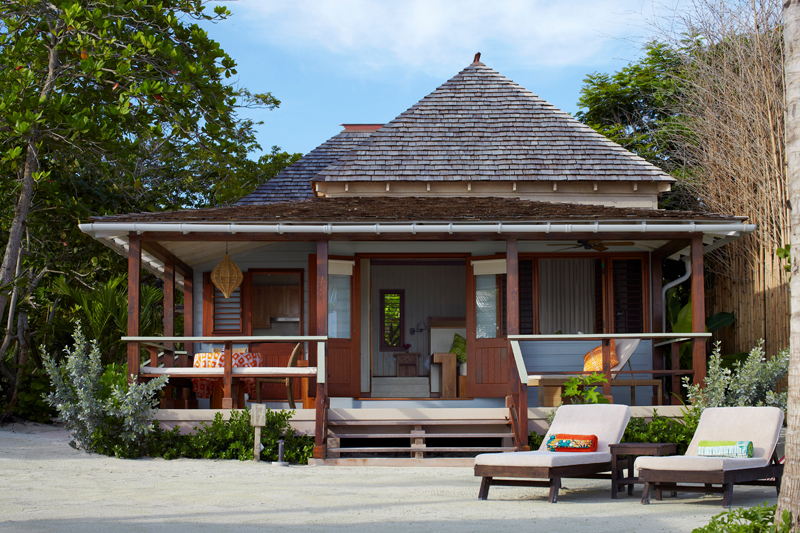 Five One Bedroom Beach Villas open directly onto Low Cay Beach. 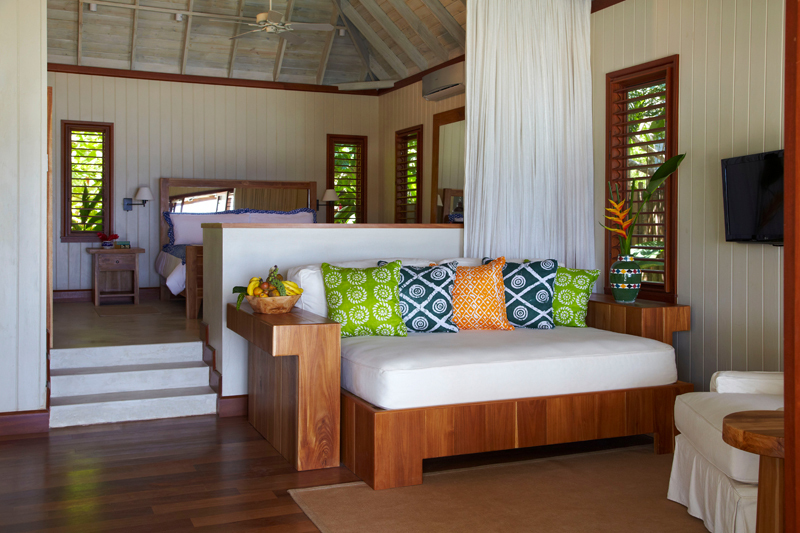 The One Bedroom Lagoon Villa sits directly on GoldenEye’s four-acre signature lagoon. All feature a large porch, wooden louvred windows and wide double doors. 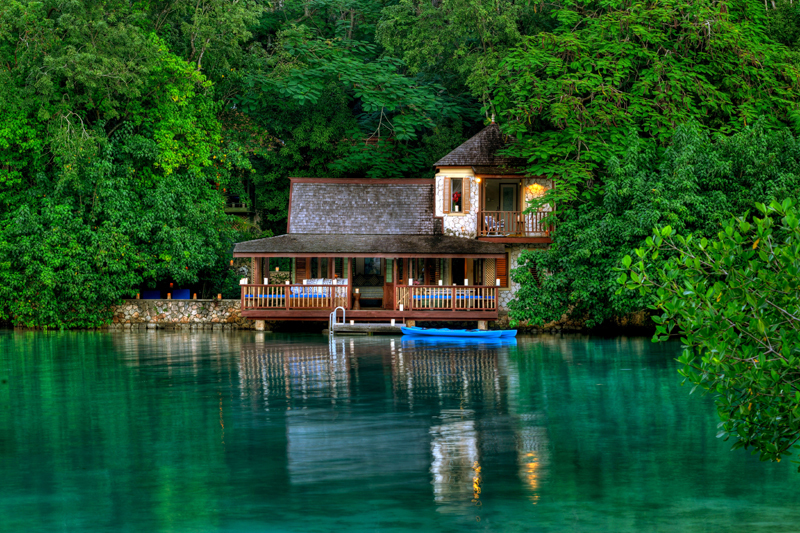 These private accommodations invite the kind of indoor/outdoor living GoldenEye is famous for. Outdoor dining table, card table, chaise lounges and hammock. 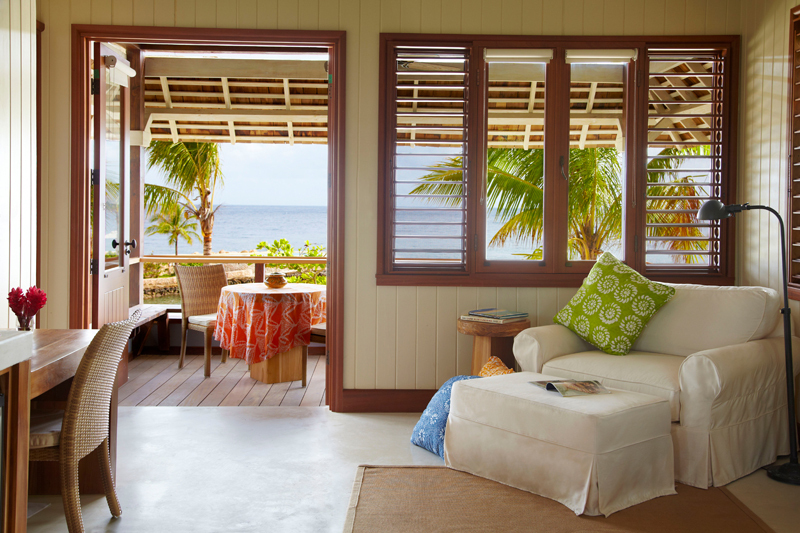 Note: One Bedroom Lagoon Villas have a stone deck with table and direct access to the lagoon. 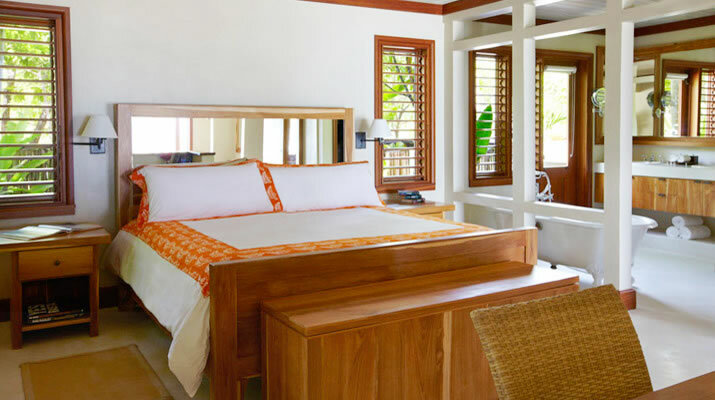 All One Bedroom Villas accommodate two adults and can sleep up to two children on the queen-sized daybed in living room. 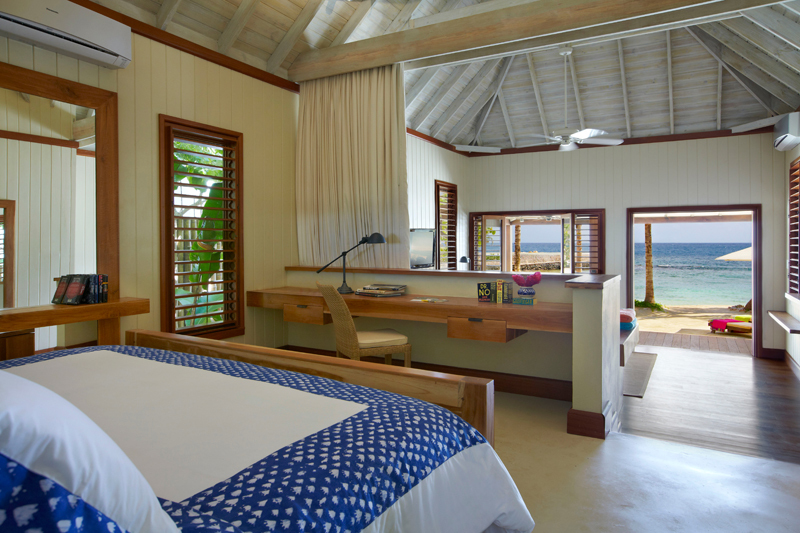 Four of the Two Bedroom villas are located directly on Low Cay Beach and one is located on the lagoon. With their large porches (upstairs and downstairs), louvred windows and double doors, these private accommodations are constructed for year-round indoor/outdoor living. 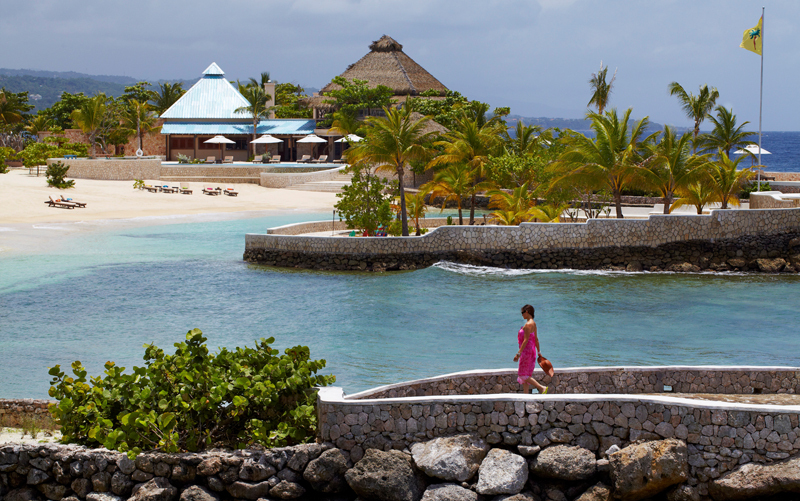 Note: Two Bedroom Lagoon Villas have a stone deck with table and direct access to the lagoon. All Two Bedroom Villas accommodate four adults and can sleep up to two children on the queen-sized daybed in living room. Rates include daily full breakfast. Meal Plans are also available at additional charge. Service gratuity optional above the 10% service charge included in rates. Rates are inclusive of 10% service charge* and taxes, including $2.00 per bedroom per night Government Accommodation tax. Maximum occupancy of 2 adults + 2 children under 10 in One Bedroom Villas, and 4 adults + 2 children under 10 in Two Bedroom Villas. Extra persons accommodated on a request basis. Additional adults or children sharing a cottage on daybeds or sofas will be charged a supplementary fee of $76 per person, per night, plus 20% tax and service charge. Child under 4 years old is complimentary. Rates include daily full breakfast. Meal Plans are also available at additional charge. *Service gratuity optional above the 10% service charge included in rates.